A new month, and a new thread to highlight all the gorgeous, sweet, clever, stunning and inspirational projects that you find here in the Digital Press gallery! Everyone is welcome to post here with a link to a page or project that you have seen and loved in the gallery (you need to copy the BB code from their page in the gallery, it can be found under the profile picture on the right side of the LO - and paste the BB code here in a comment), just don't forget to leave a message for the page/project maker, saying something along the lines of "YOU HAVE RECEIVED A RAVE REVIEW!" and link them back to this thread. 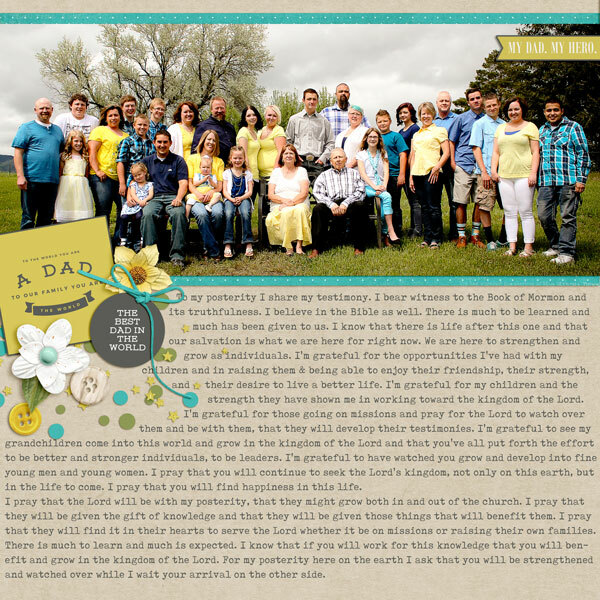 I'd like to start with this page - Be Bold by chili - just look at the beautiful clusters, and fantastic shadowing! And this page - Superhero by christellevandyke - look at the little details of the ribbon and the geometric diamond, as well as the wow factor of the papers pointing to that cute photo, and the main cluster of clowers etc. 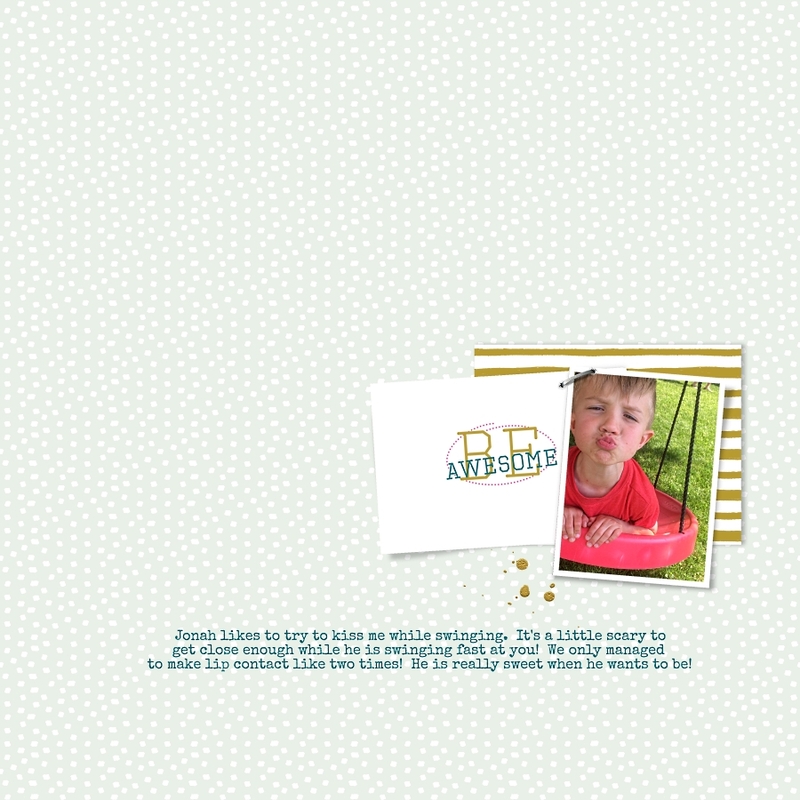 And finally for now, this one - Be Awesome from DanceERB - such a simple page design, but so sweet! Last edited by corrin; 06-21-2018, 04:43 PM. 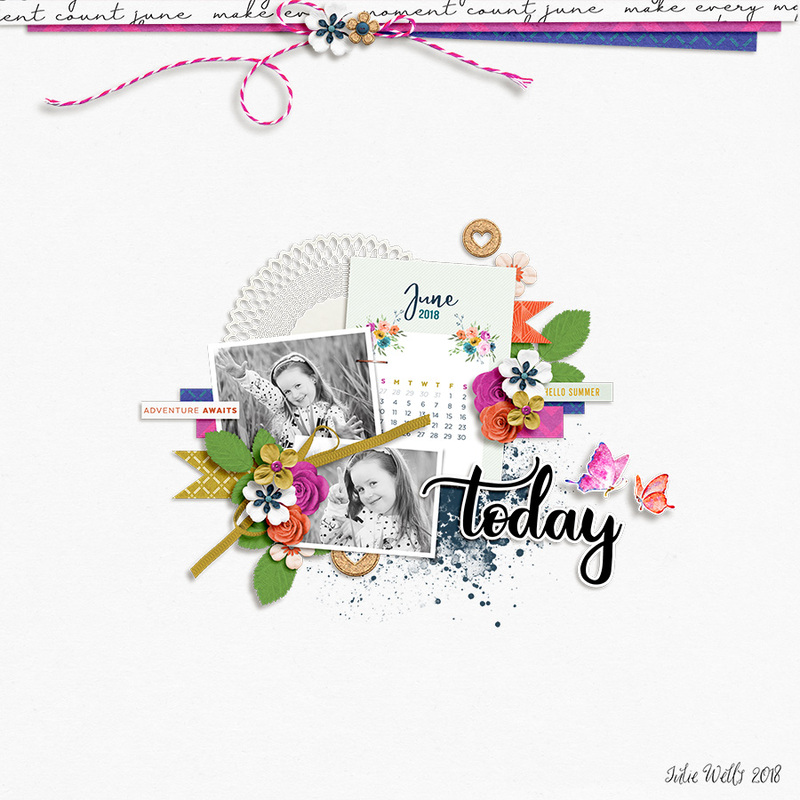 I love this one by You are the world by tiffany scraps - perfect kit choise and such beautiful journaling. adding this one …. the red pops caught me as soon as I opened the gallery. Last edited by Jheri; 06-28-2018, 01:27 PM. Oh that is pretty! Off to leave her some love. it really is stunning! I didn't notice the world map in the background paper before! 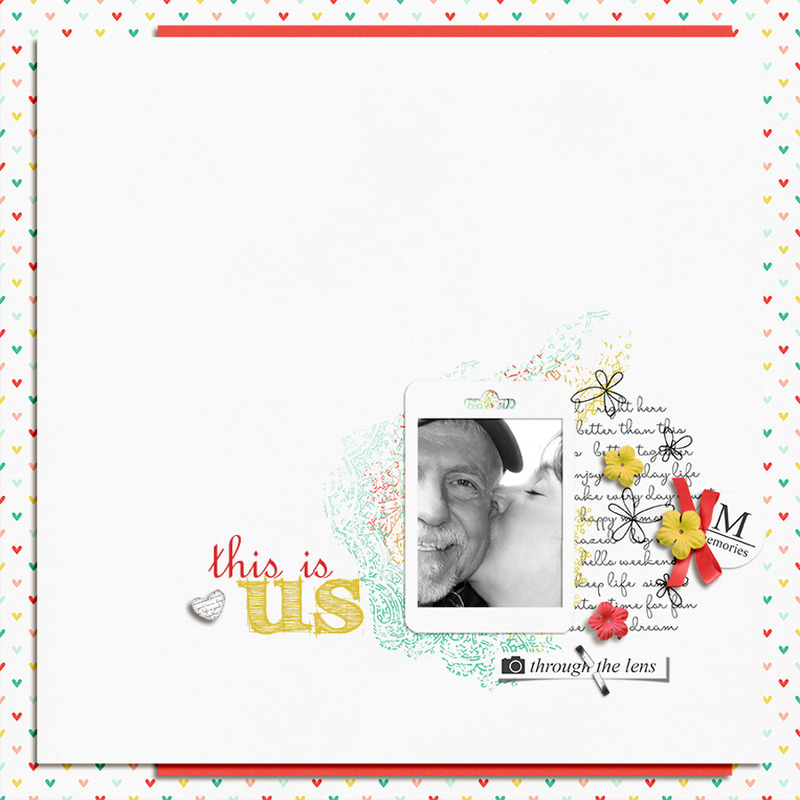 I saw this layout by Ga_L in the gallery this morning. 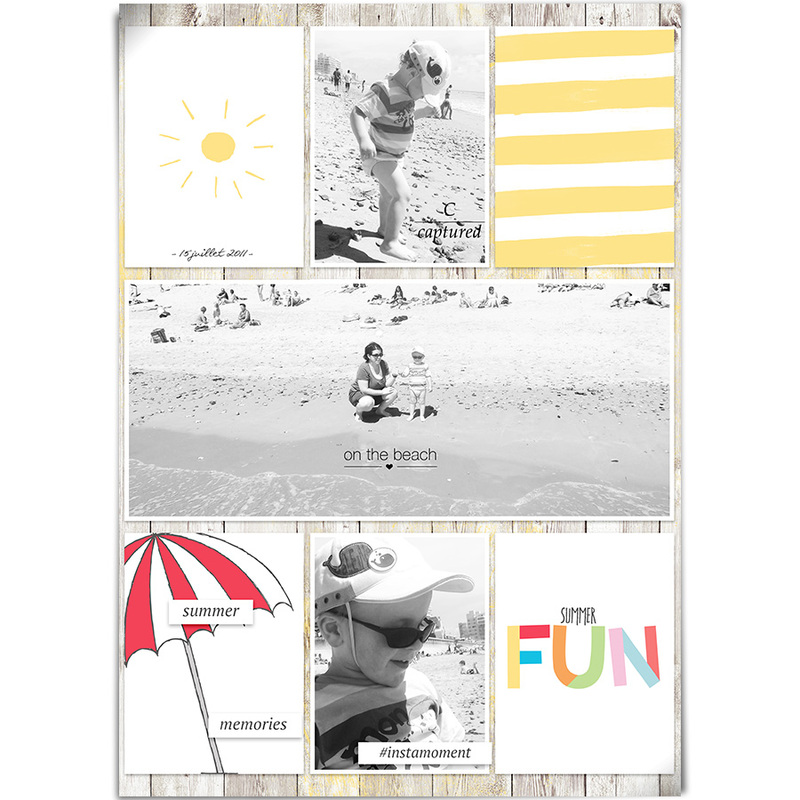 I loved the black & white beach photos with the fun colors and lets just face it, it just reminds me how much I love the beach.